I just came back from the Festival Light and Motion which is held in Dataran Putrajaya Precinct 3. The event will be held from 30 January 2016 until 1 January 2017, starting from 7.30pm until midnight. 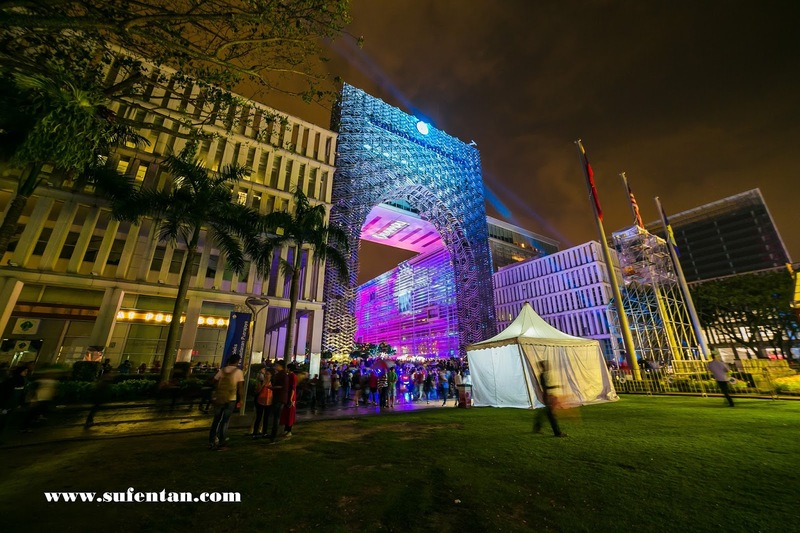 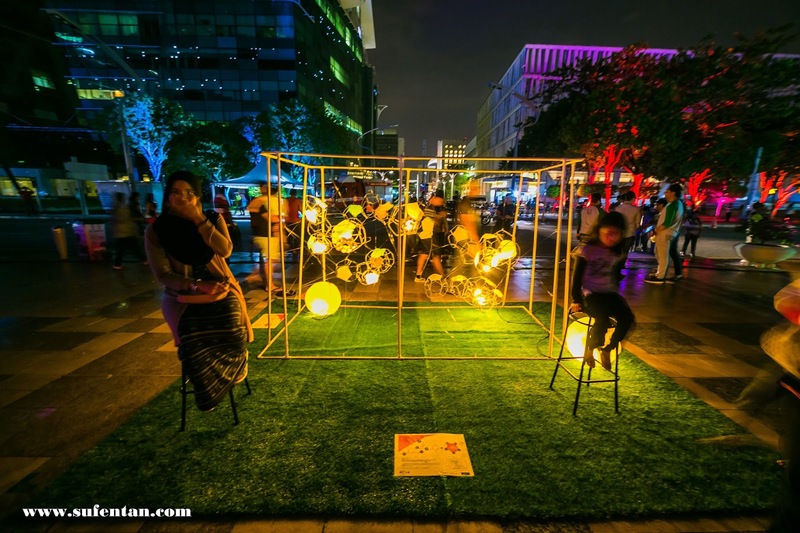 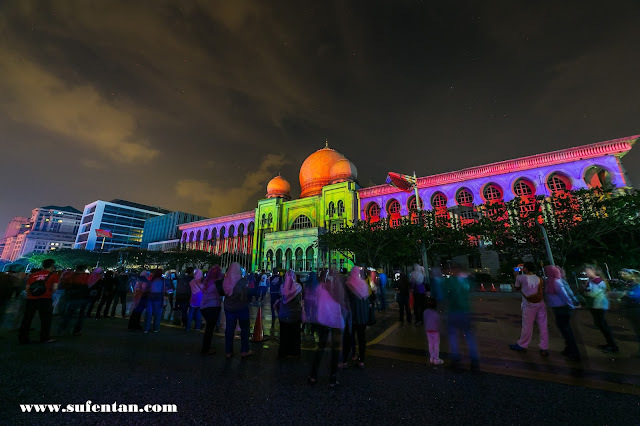 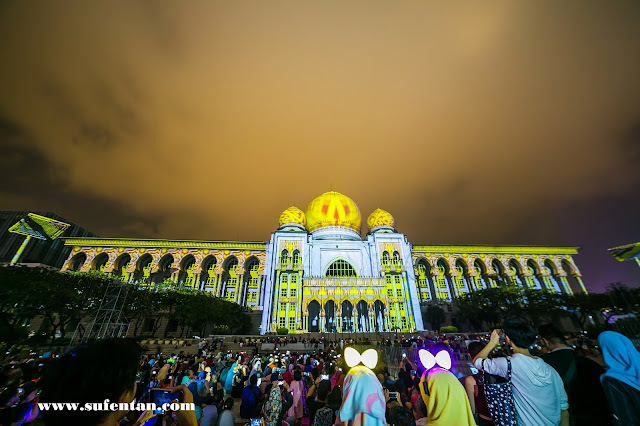 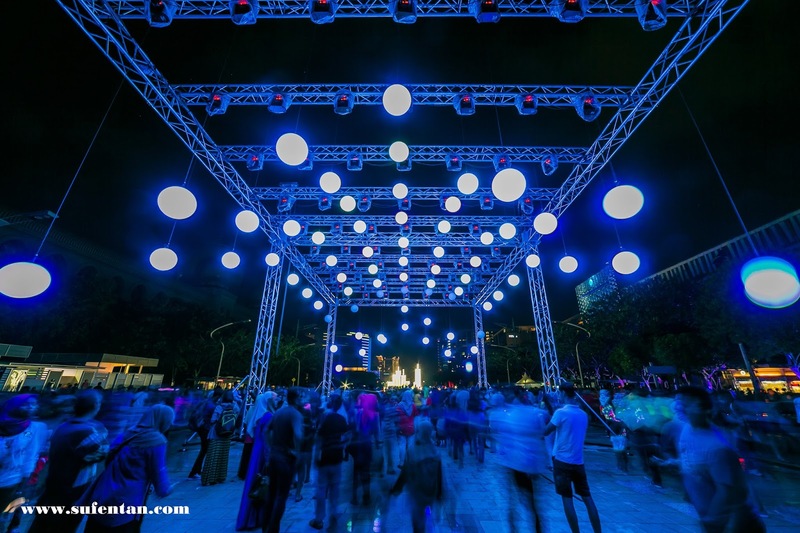 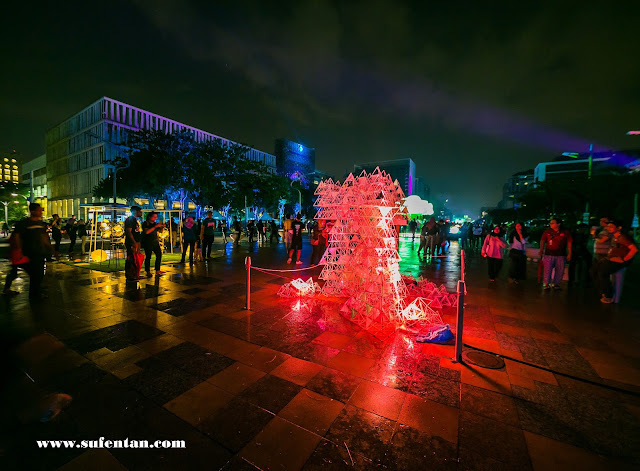 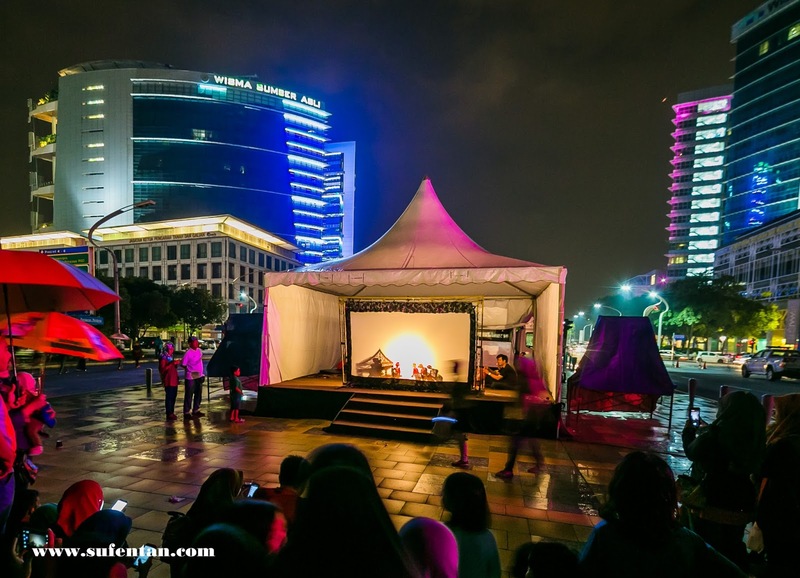 It is a three day event that features the grand Projection Mapping on the facade of the grand Palace of Justice, garden lighting, wayang kulit, car light show and many more. 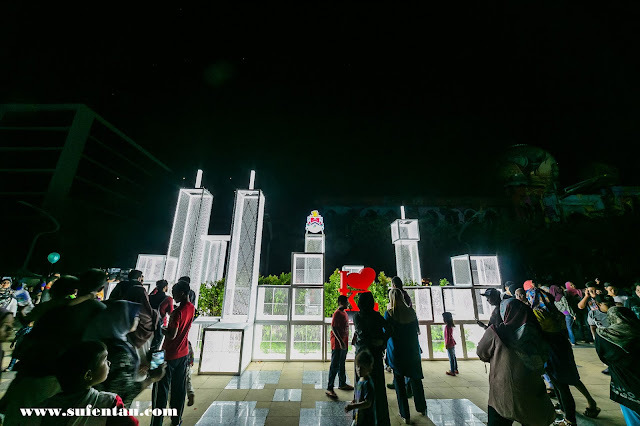 Tomorrow, there will be fireworks for the New Year's countdown. 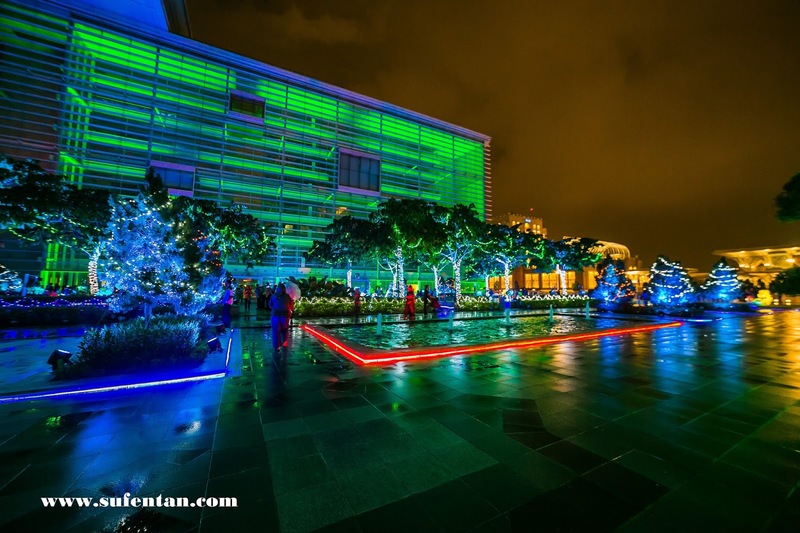 Be sure to bring umbrella as you may not know the weather these days. We got wet half way taking photos. 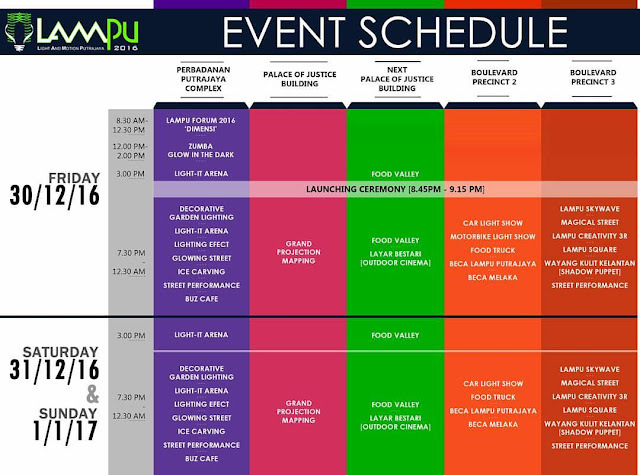 Get your camera ready for selfie & photos! Here is the map on the programme of the event. 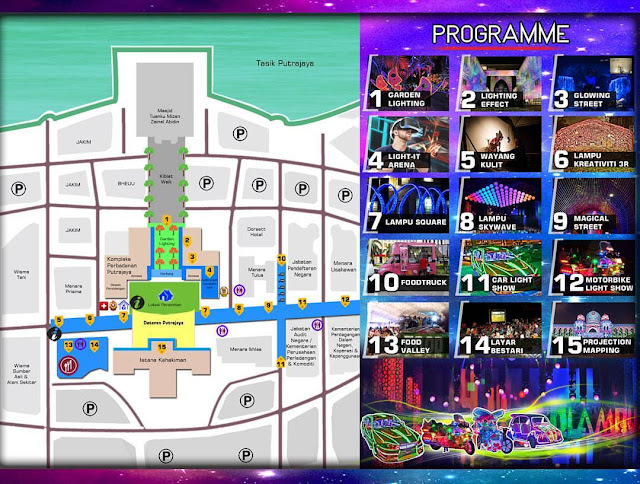 You may park your car at the car park near to Wisma Sumber Asli & Alam Sekitar or car park near JPN. 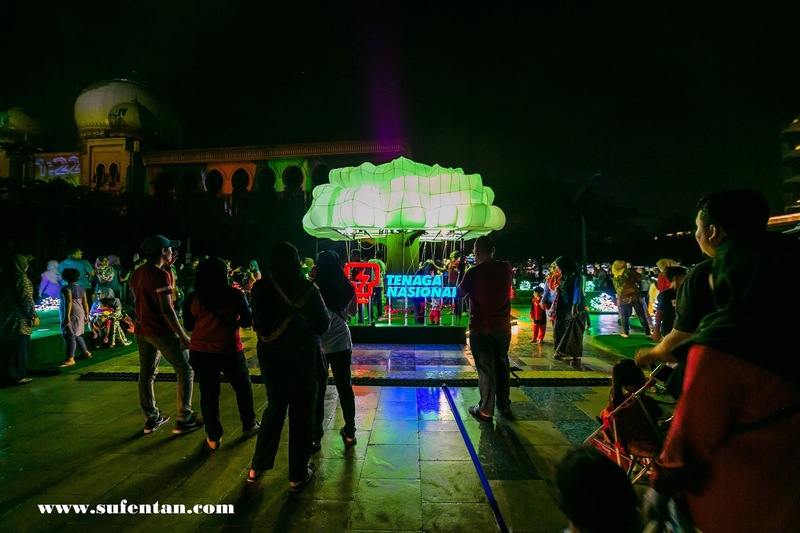 You will need to walk around 5 minutes to the festival at the Dataran Putrajaya.